Holly takes great pride in her work and appreciates that the client’s needs are paramount, tirelessly striving to exceed their expectations. 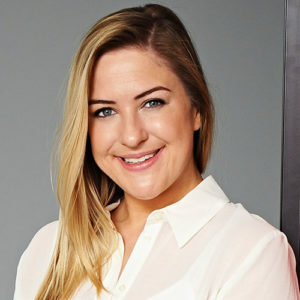 She began her career in legal costs in 2011 following working with an in-house legal team for a commercial television network, before joining MRN in 2014. Holly read Law and Business at the University of Liverpool, graduating with a 2:1, before completing her Legal Practice Course with Commendation at the College of Law in Manchester. She qualified as a Solicitor in 2018. In her role as Head of Budgeting Holly is responsible for ensuring quality standards with all cost budgets prepared at MRN. She is passionate in supporting all file handlers and continuously monitoring the quality and accuracy of their work from preparing budgets right through to attending CCMCs. Inspired and motivated by the unique style of MRN’s service, Holly takes pride in upholding the level of qualification, experience and skills encompassed by the firm by diligently working to maintain client care relations and exceed expectation in terms of both efficiency and the standard of work prepared. The client is always at the forefront of her actions, often attending client’s offices nationwide to complete instructions so they do not need to be without their files. Holly has a rich technical knowledge base in respect of all litigation and has advised on a wide variety of matters on both Claimant and Defendant sides. This allows Holly to remain objective in her dealings and provide strategic advice to her clients regarding the nature and direction of a case by anticipating the actions of the opposing party. She meticulously studies each file to ensure she understands its direction and can give beneficial insight. Holly has been involved in many prominent cases. In a recent and very complex Commercial matter, she prepared three budgets for three separate claims which were related to similar company disputes; a Petition, a Wholesale Claim and a Franchise Claim. The combined total of the budgets was approximately £1.1 million. The cases were to be case managed together, therefore, the issue of apportioned common costs was a complex issue which was addressed across the budgets. In another notable matter, Holly prepared a significant cost budget and advised the client and Leading Counsel on submissions at the Commercial Court for a Breach of Contract claim including breaches of warranties and/or damages for misrepresentation valued in excess of $5.5 million. With her little spare time, Holly can be found jogging or indulging in a good book!